Crypt-n-Send is a secure email encryption service for your existing email account including Gmail, Yahoo, etc. You can send encrypted emails from your existing email accounts, without changing the way you send currently. Email sent using Crypt-n-Send will be force-encrypted and secured by MDVault, a secure way of viewing email. The content of the message should not be in human readable format if it is accessed by someone else. 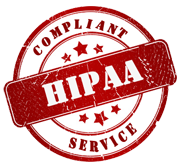 In general, many responsible senders like medical facilities will use secure email service at their end. However they ignore the importance of security at recipient’s end. It is a known fact that majority of us use free accounts with no security at all. MDofficeMail is offering CryptnSend to maintain end-to-end security of emails, a critical issue which is ignored most often. CryptnSend is an innovative service for encrypting and delivering email with end-to-end security. Using CryptnSend secure email messages can be sent from any email address. Recipient's email account need not be a secure one. In addition this process doesn’t involve the hassle of installing additional software, security certificates, or keys. iPhone and Android App is also available to send secure messages from smart phones using CryptnSend Service. - Subscription on quarterly / yearly basis. Annual payment option can be selected in the 2nd page of the order form. - Subscription can be upgraded / downgraded / cancelled anytime without any obligation. - Refund for remaining period will be made only for annual subscriptions on cancellation of service. - 1-3 Crypt-n-Send users will be charged on quarterly / yearly basis. There is no monthly payment option. - * These charges are waived in good faith. May be applicable if the account is cancelled during the 1st one year. MS Outlook with ease by installing CryptnSend Add-in for MS Outlook.